There are only three breeds of hairless cats. These cats have the peculiarity, beyond their physique, to be very faithful companions who generally bear bad loneliness. These are cats very sensitive to heat and sun and require special maintenance. 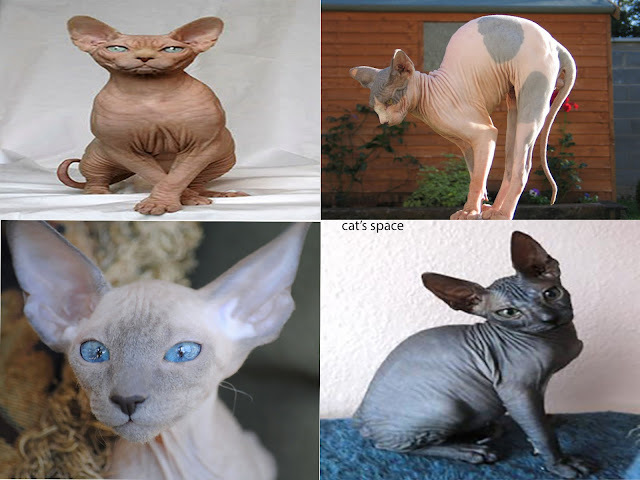 The Sphynx is a cat breed whose peculiarity is that they have almost no hair. 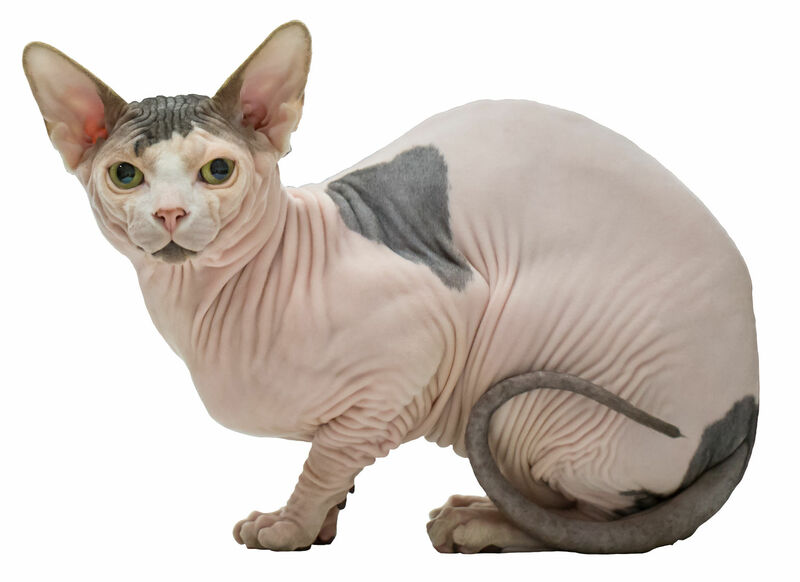 Originally from Canada and standardized in France, the Sphynx is a cat that surprises by its singular physique but is none the less affectionate. The Sphynx is legendary for its fidelity. Very attached to his family, it is a cat that likes to mount on the shoulders of its masters and that has only one requirement, to be protected from the cold. The Donskoy is a cat from Russia. With its medium size, muscular body and a fine and elegant look, the Donskoy is a particularly curious cat who loves to explore the world. Close to his master, he barely supports solitude. 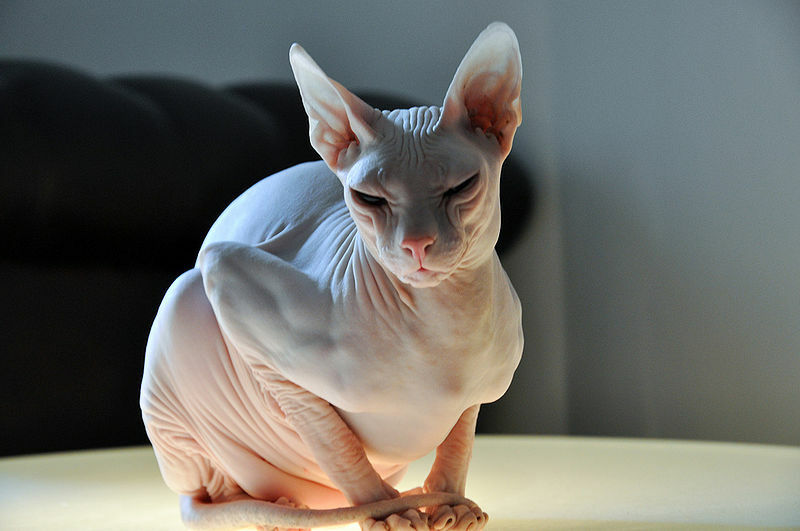 There are three types of Donskoy: velvets that have the skin covered with a very short down, brushes that have short and curly hair and finally the nudes that have hairless and elastic skin. 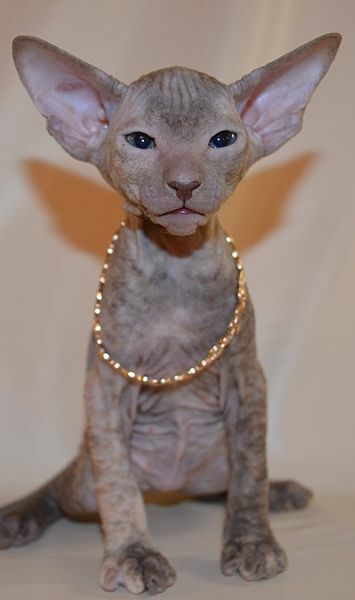 The Peterbald is an extremely dynamic cat. Hyperactive, it is not suitable for quiet people. Some Peterbalds can sweat greatly, especially during the summer. It is necessary to think to give them a bath a week in order to evacuate the excess of sebum.